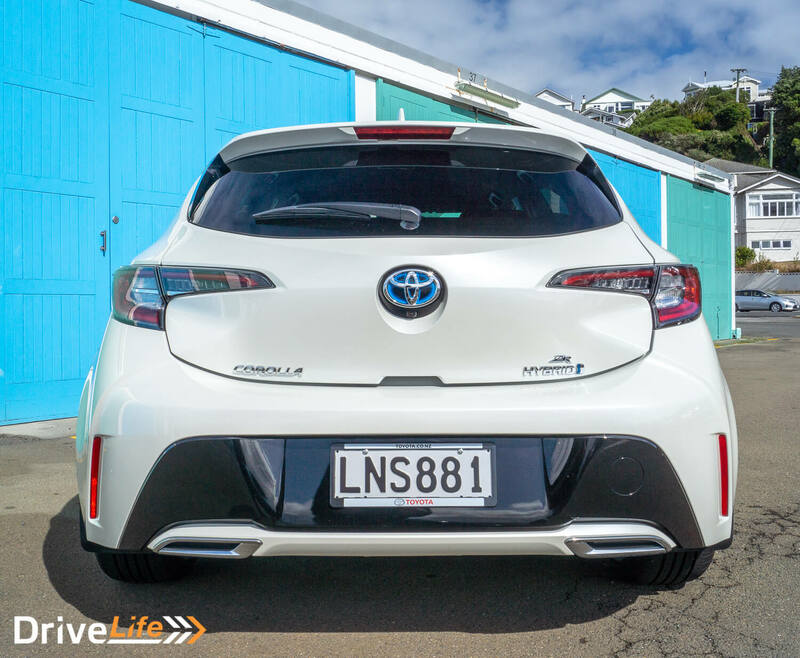 We have seen the Toyota Corolla Hatch SX before, and now we take a look at the other end of the scale at the ZR Hybrid. 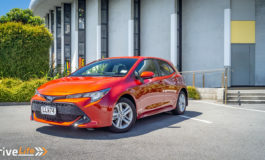 The Corolla does come in hatch, sedan and wagon variants, but we are just going to focus on the hatch, otherwise we will be here all day. 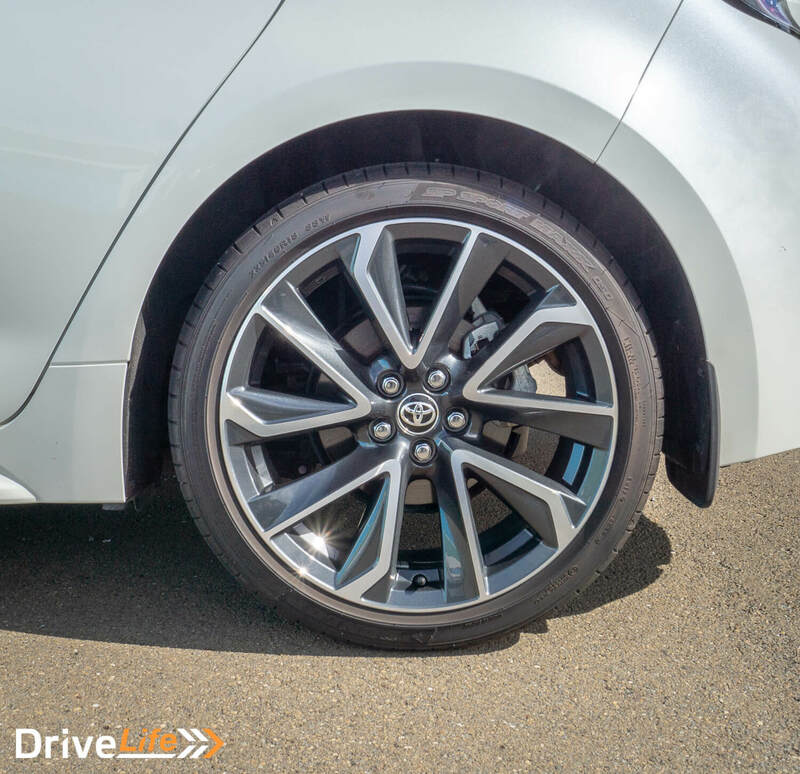 It does show though how versatile the Corolla really is by coming in so many different sizes. Surely there is one for everyone. So onto the hatches; even here you have a wide selection to pick from: there are 2 categories, the petrol set have the GX, SX and ZR and the hybrid set have the GX and ZR. Let’s go through them. Starting with the petrol set, we have the GX at $29,990. The GX is the base model Corolla hatch and comes with the 2-litre 4-cylinder engine which has 125kW of power and 200Nm of torque, 16” silver metallic alloy wheels, triple LED parabola headlights, air conditioning, black fabric seats, 8” colour TFT touchscreen display with 6 speaker radio, Bluetooth, SUNA satellite Navigation and a reversing camera. 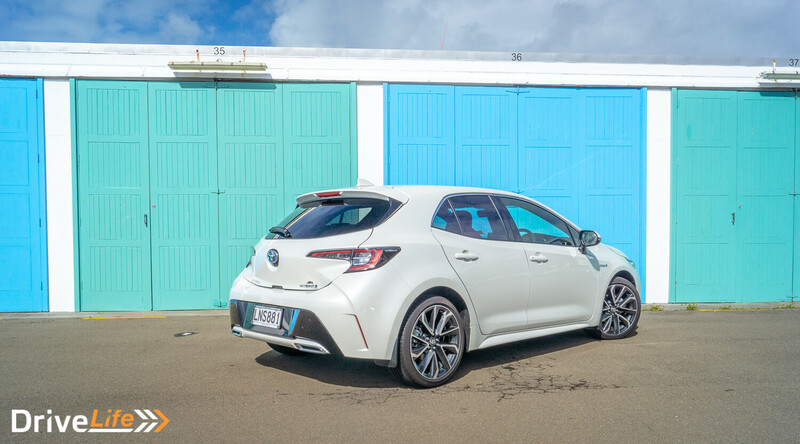 Moving onto the SX, which starts at $32,490 and is the middle of the petrol range for the Corolla hatch. 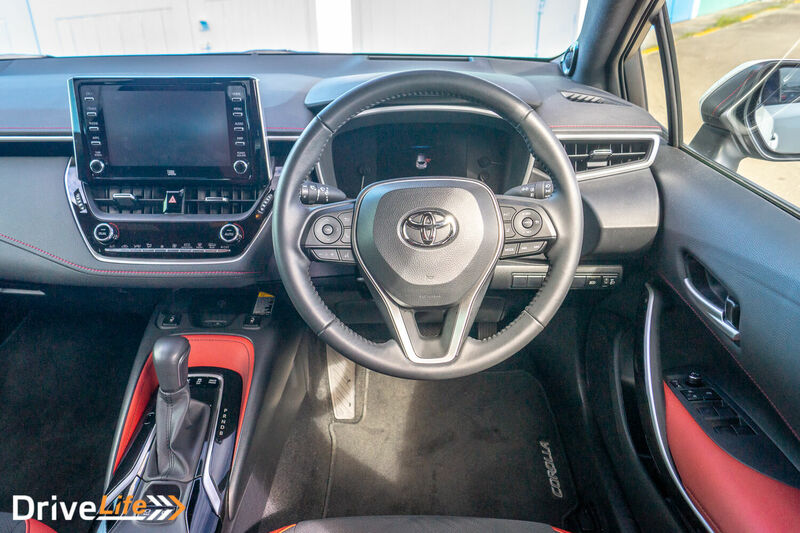 It is fairly similar to the GX with some of the differences being the addition of paddle shifters on the now leather steering wheel, accompanied by a leather gear knob. Some of the other features of the SX are auto folding mirrors, push button start, auto dual zone a/c, Qi wireless charger and a smart key. And finally for the petrol range we have the ZR coming in at $37,490. Again the ZR comes with a lot of the same things as the SX except for 18” dark silver metallic alloys, LED headlights, sports front seats (which can be black or black/red leather suede accents and heated), soft synthetic leather door trim, synthetic leather front armrests with contrasting stitching, piano black front door garnish with satin silver accents, black headlining, satin silver plated door handles, auto dimming rear view mirror, 8 speaker JBL radio, three-ring meter with 7.0” colour multi-information display, and colour head-up display. Now to take a look at the hybrid side of the line up. There are only 2 hybrid models, the GX Hybrid and the ZR Hybrid. 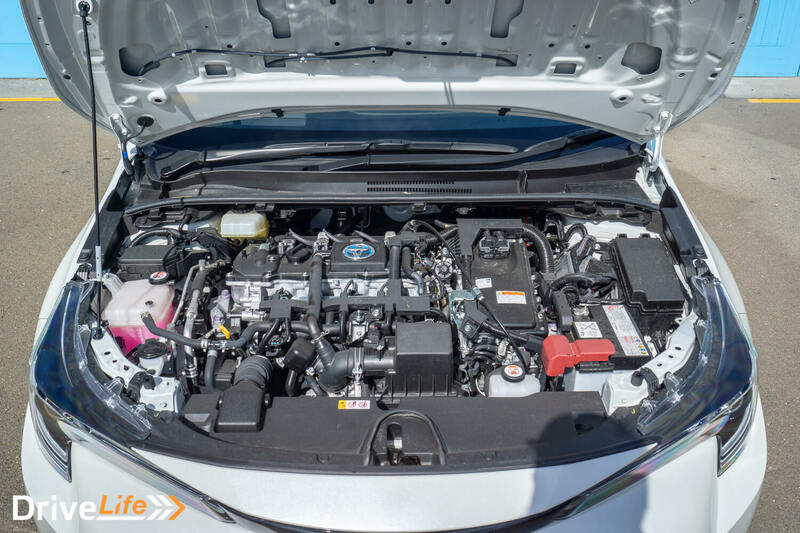 The GX HYBRID at $32,990 is almost identical to the petrol version except for the obvious engine change, now being a 1.8-litre petrol hybrid engine with a total output of 90kW, it also gets the push button start and dual zone A/C. The ZR HYBRID at $38,490 follows the petrol ZR exactly coming with all of the same features, the only difference being the hybrid engine. 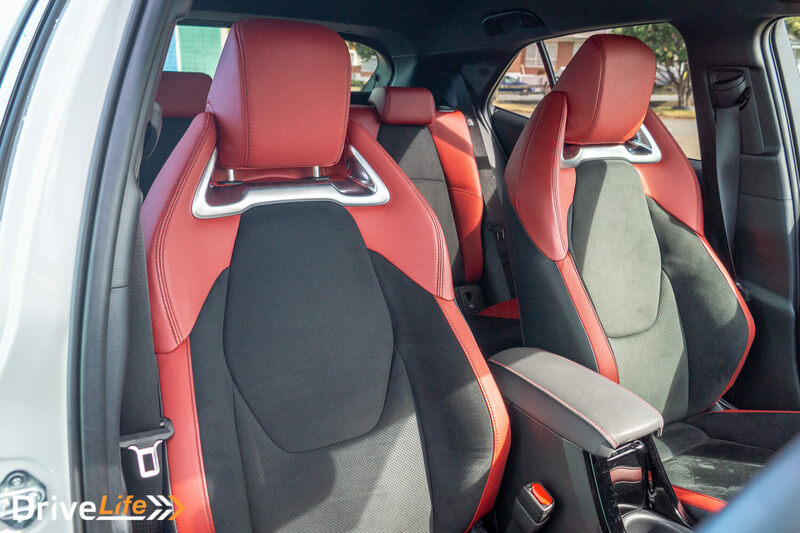 There is only one first impression you can have with this car: red leather interior. Normally we would only really be talking about the exterior but you can see the red leather from the outside so I have not wavered too far off course, more on that later. Back to the looks of the car, simply it looks great. It really has stepped out of the norm for what a normal hatch should look like and I appreciate it. It’s aggressive yet won’t kill you, it’s almost space age design yet still modern. The ZR came in Crystal Pearl, which is one of those colors that seems to move around in the white spectrum depending on what the light outside is doing. Sometimes it’s a brilliant white and other times it’s almost grey. Now back to the red leather. It is by far one of the most striking things that you see when you first open the door which does make it stand out but also makes you think, this is different than normal for a family hatch. 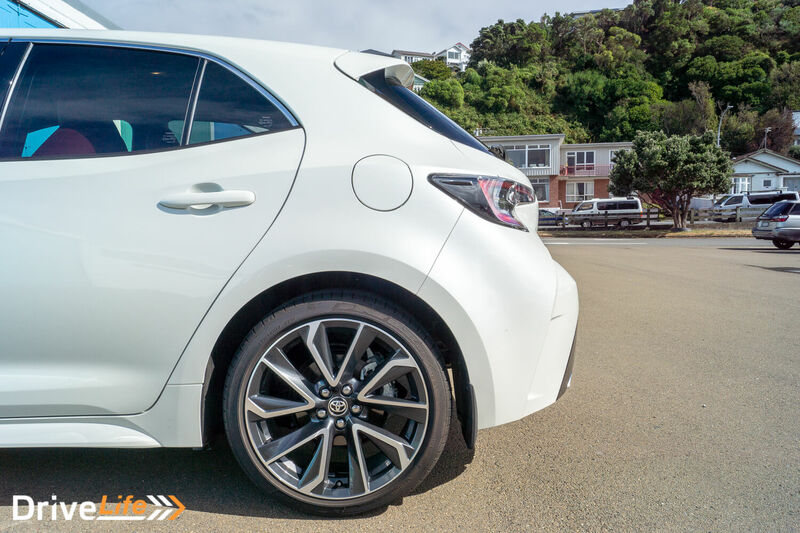 And you would be right – this is no ordinary family hatch. First of all you’re getting leather and suede seats and leather steering wheel. Your instrument cluster has a 7-inch screen for all your important information. You have an 8-inch touch screen display for your infotainment system with 8 JBL speakers. Below that you have all your a/c controls and then your wireless phone charger and next to that are the controls for the heated seats. 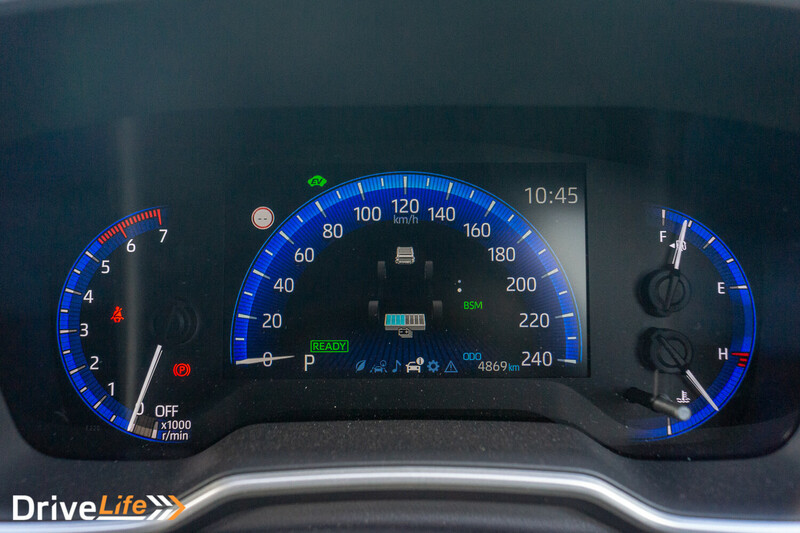 The cream of the crop of technology in this car is the colour Heads Up Display (HUD). I feel this is insane to be able to get not as an optional extra and for only $38,490. It’s not that long about you would be looking to spend close to $100,000 if not more for all of these features. Now you might be thinking this sounds all too good to be true, and there are some drawbacks. The first loss you have is the rear seats. There really is not a lot of leg room back there. Even less so if you have me (6”5’) in the driver seat, nobody could sit behind me. 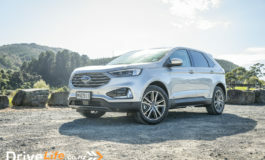 But even with a “normal” sized person the the front passenger seat it would really only be kids and other “normal” sized people would fit but I would not want to be there for a long trip. The second loss some might say is the size of the boot which is up to 300 litres over its GX brother, but still one of the smallest in class. This can be a personal thing however. If you’re not one for wanting to be always able to carry a lot of things then for the most part you would most likely be fine. If you have kids with big sports bags or need it to carry the golf clubs every weekend then you might have a bit of a disadvantage. 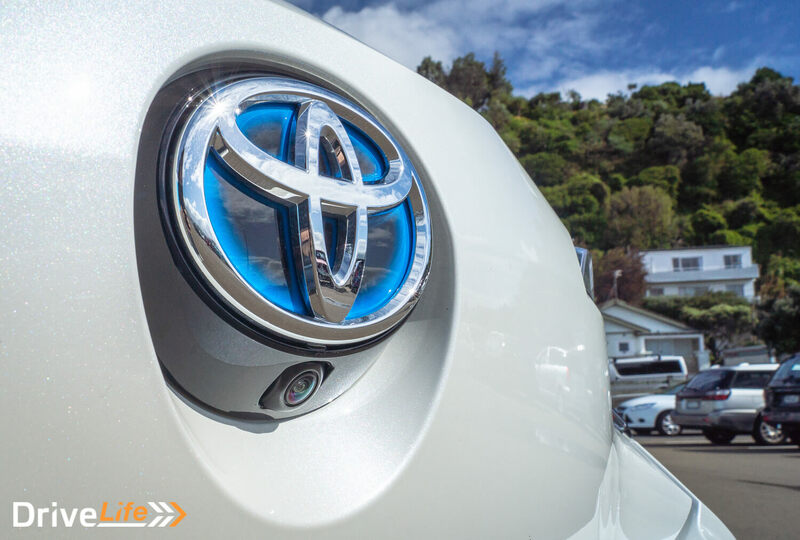 Another added feature of the Corolla is keyless entry and push button start, which makes life a breeze, you no longer have to take keys out to unlock or start the car, you just have to have them on you. I just need to get the same setup on my house and then I will never need to find my keys again, just need to know they are on me somewhere. Starting that car you get a nice little chime and a start up animation happens on the instrument cluster and on the HUD simultaneously. As usual with Hybrids, you’re then left in silence, with a little “ready” message on the screen telling you the car is ready to drive. Pulling away even gently you may not notice the electric engine kick in and make that first initial movement seem so smooth before handing back to the petrol engine. It just makes for a much more enjoyable and smooth acceleration. To be able to achieve this in cars before electric engines, they would have had to put a massive engine just so it would have the high amount of torque needed to move off slowly at such low revs. Of course if you want to be a little more spirited with your driving then the electric engine also helps here by giving you again that first initial bit of power the same moment your foot goes presses on the accelerator. This allows the car to rev up the engine to give you the power you wanted but without you having to wait for it. And then on the other side you can be green, sitting in the car in silence with while stuck in slow moving or stopped traffic. It’s the best of both worlds, I for one can’t wait to see what is coming in the next 10 years in the automotive industry as we look to more electric and hybrid power. Anyway speaking of silence, that is another thing with the new Corolla Hatch. They seem to have some serious sound deadening, when you close the window it’s almost like you have turned on some noise cancelling headphones. Makes its really easy to have a conversation without having to shout over road noise and just makes your trip even more calming, even if you are stuck in traffic going nowhere. Over the time I had the ZR for review I kept coming back to one thought: God what would this be like if they stuck a turbo on it. I really want to know because I feel this car with a turbo would be up there with a Golf GTI the long time reigning king of Hot Hatches. I the fact that I own one personally should give you some idea that that was not easy for me to say. 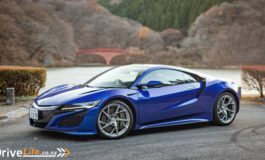 But I truly mean it, if this had a turbo I think it would be a car worthy of a shot at the King’s crown, and lets not forget you would be saving about $16,000. That’s something to think about. That is only compared to a GTI, we don’t have the GTE in NZ but that would probably be a little bit more again.